Learn more about your shoulder joint, common causes of shoulder pain and shoulder replacement. 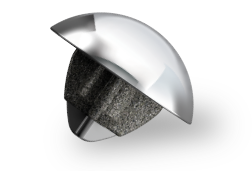 Learn more about primary total shoulder replacement and reverse total shoulder replacement with ASCEND FLEX. 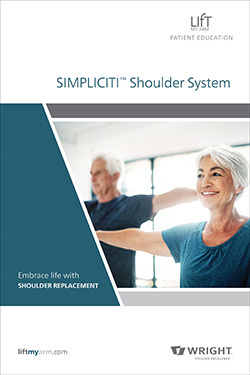 Learn more about total shoulder replacement with SIMPLCITI. Please fill out the following form to recieve About Shoulder Replacement in the mail. For United States Mailing Addresses only. We respect your privacy and do not disclose your information to third-party marketers. 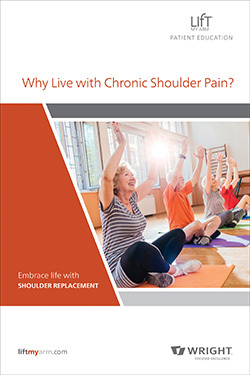 Please fill out the following form to recieve Frequently Asked Questions about Shoulder Replacement in the mail. 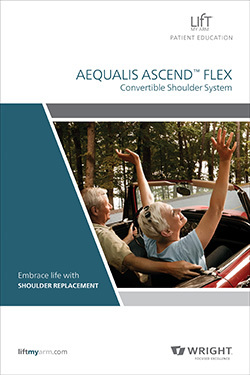 Please fill out the following form to recieve AEQUALIS ASCEND FLEX™ in the mail. Please fill out the following form to recieve SIMPLICITI™ Shoulder System in the mail. Please fill out the following form to recieve BLULEPRINT 3D Planning + PSI ™ Shoulder System in the mail.